Malinga and Roach have taken two hattricks in World Cup 2011. Yet, there were three bowlers who missed hattricks. One of them came almost took the hattrick and was to create World record, but the catch was dropped. Malinga created history by taking his second hattrick of World Cup. Roach took another hattrick to lead West Indies to thumping win. But, Dilshan, Shahid Afridi and Mooney could not complete their respective hattricks. Dilshan had the worst miss among all. His hattrick ball carried to the fielder in slip, but Mahela could not hold the sharp catch. Dilshan ended the inning with a mesmerizing spell of 4 wickets for 4 runs. He has earlier smashed a century and created World Cup record for opening partnership. He, with seasoned Tharanga, scored 282 runs for the first wicket against Zimbabwe. If his hattrick ball catch was held cleanly by Mahela Jayawerdene, Dilshan could have become the only player in Cricket history to score a century and take a hattrick in the same match. Shahid Afridi, the Pakistani captain, also reached the mark, but failed to get wicket on his hattrick ball. 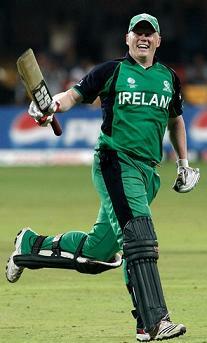 Mooney, the Irish who took 4 wickets against England, bowled the hattrick ball against West Indies, after taking two consecutive wickets in the death overs, but could not bowl on target. Dale Steyn has two opportunities in the game against India. He could not convert the hattrick ball on first occasion. On his way to his best ODI performance and first 5-wkt haul he took the last two wickets on successive balls. If he takes wicket on his first ball in the next match he would join the hattrick club too.